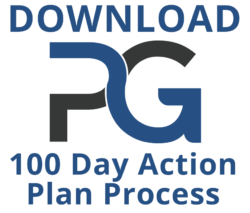 During a typical 100-day Executive Onboarding, Team Onboarding or Acceleration/Restart engagement, two PrimeGenesis partners meet the client in person at the client’s earliest convenience to conduct the Prep Session and develop the new leader’s 100-day action plan. During the prep session, we cover…. Schedule a call with a PrimeGenesis partner to learn more about prep sessions, engagements, and next steps on how to deliver better results faster. New Job Prep is an online program that guides experienced or first-time leaders to accelerate their transition and hit the ground running on Day One.